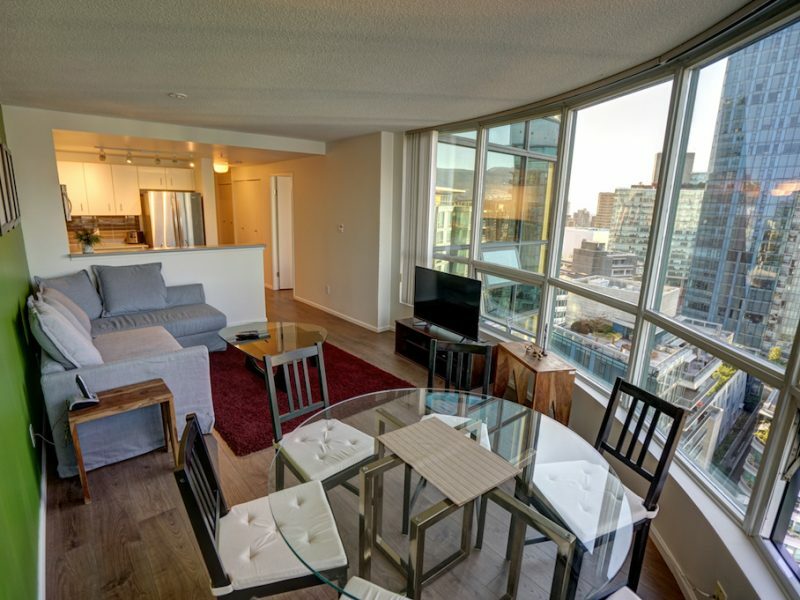 2 bedroom 2 bathroom condominium corner apartment, with in suite computer / storage room, in a newer 34 story high-rise tower. 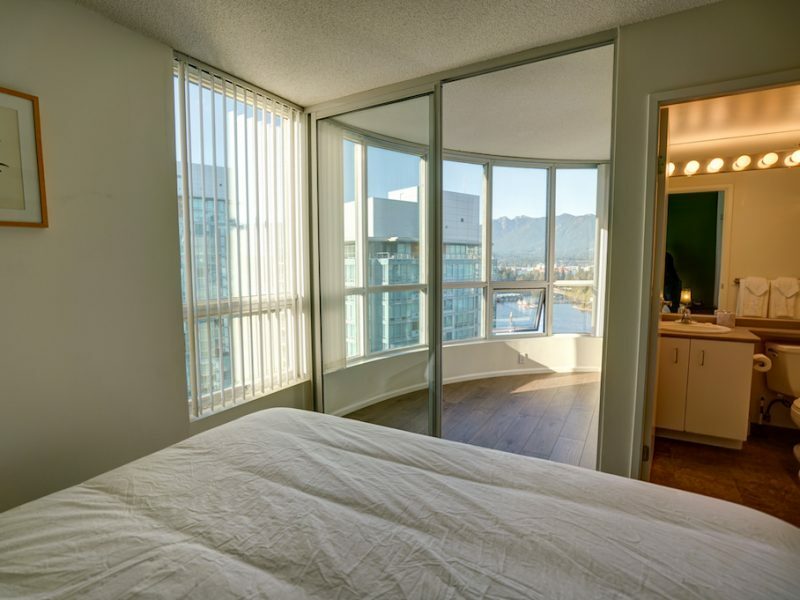 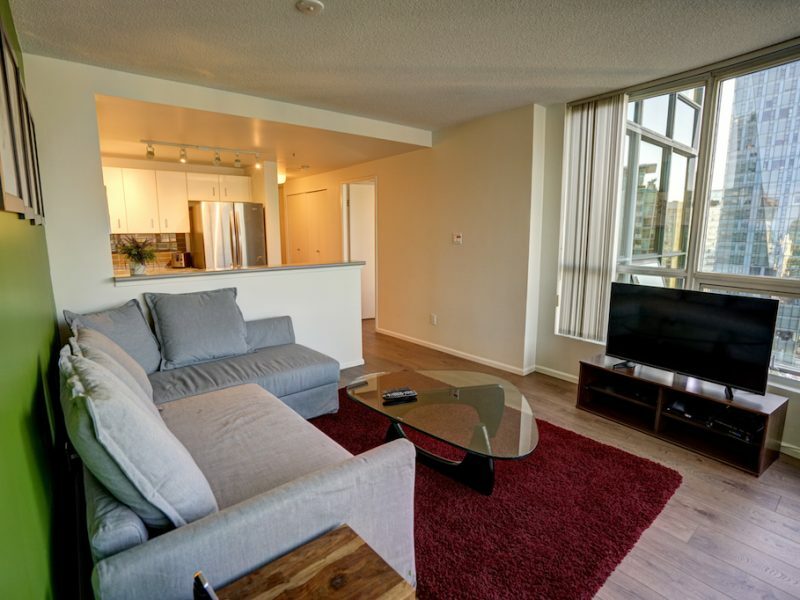 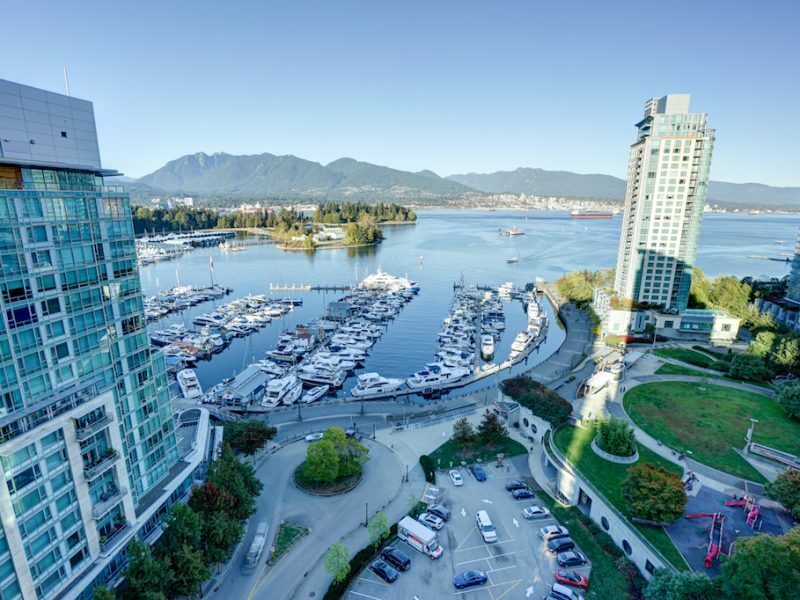 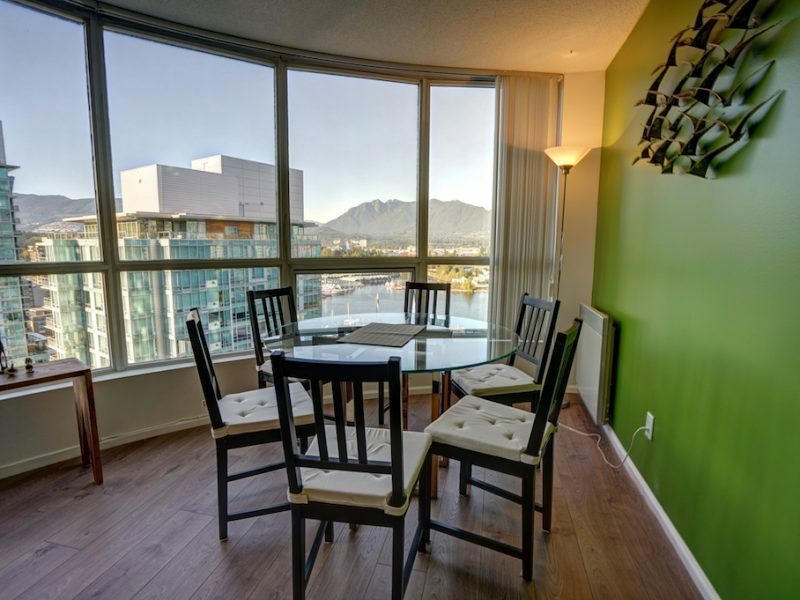 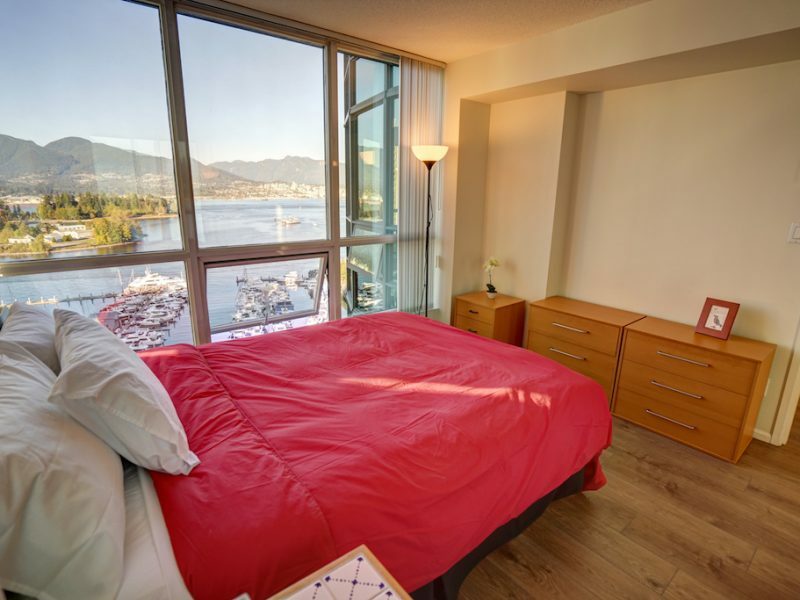 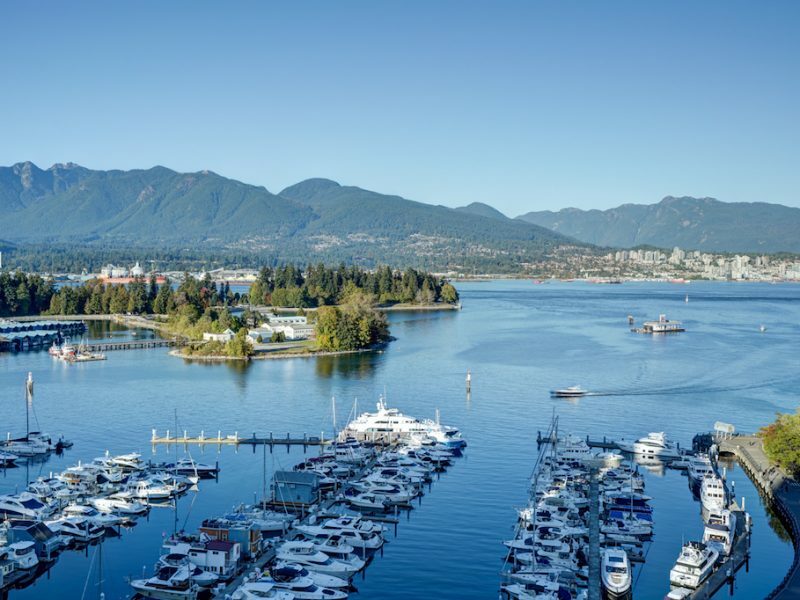 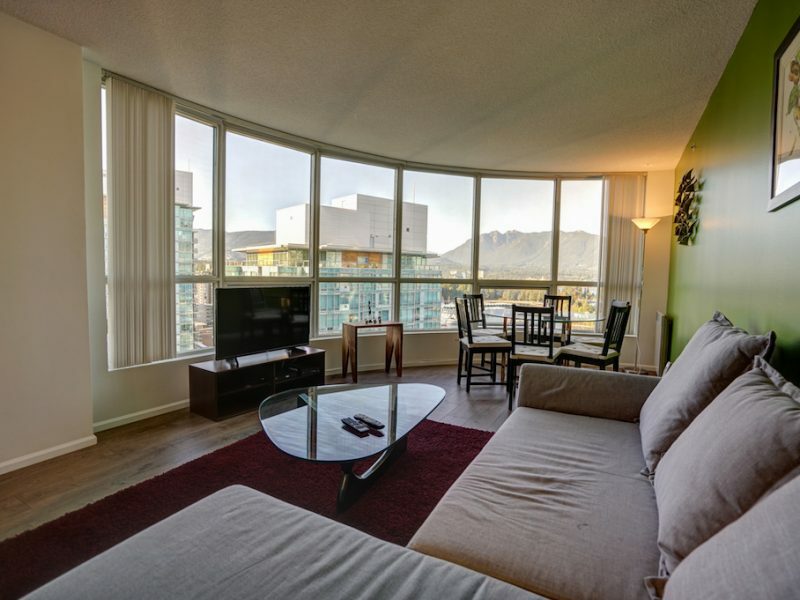 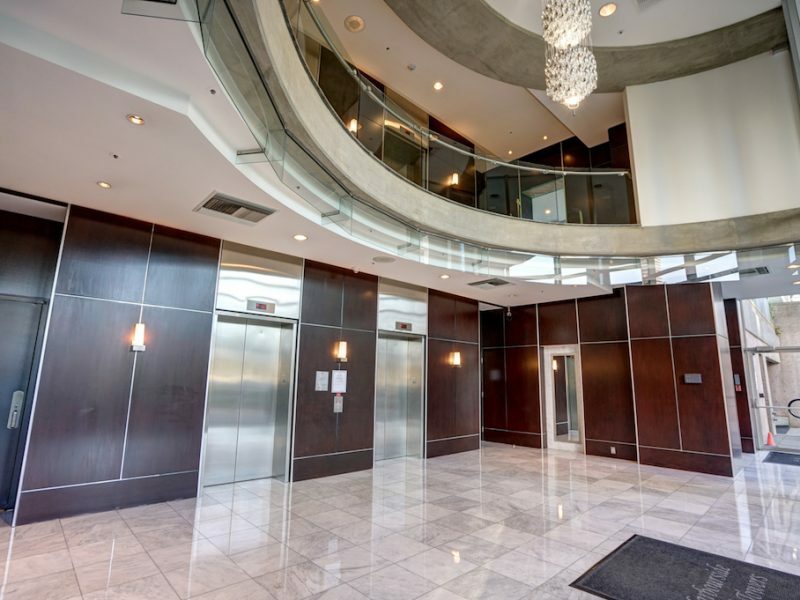 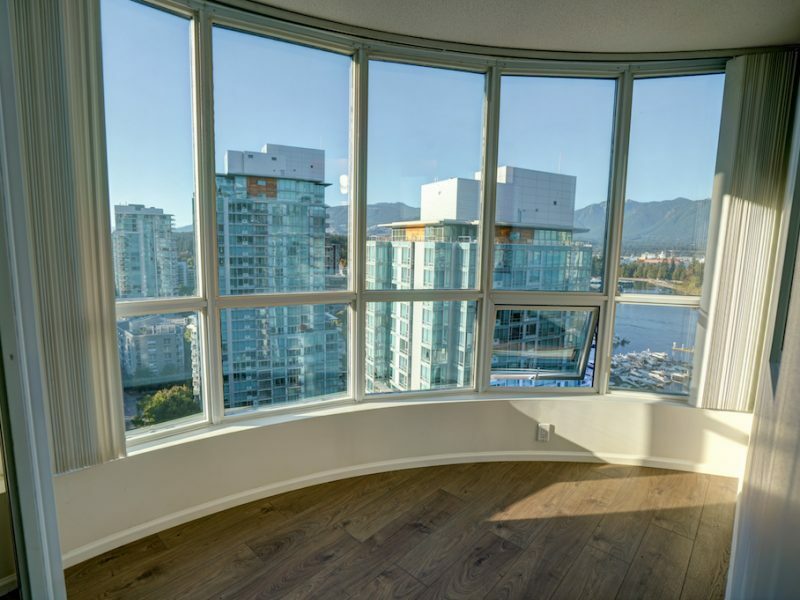 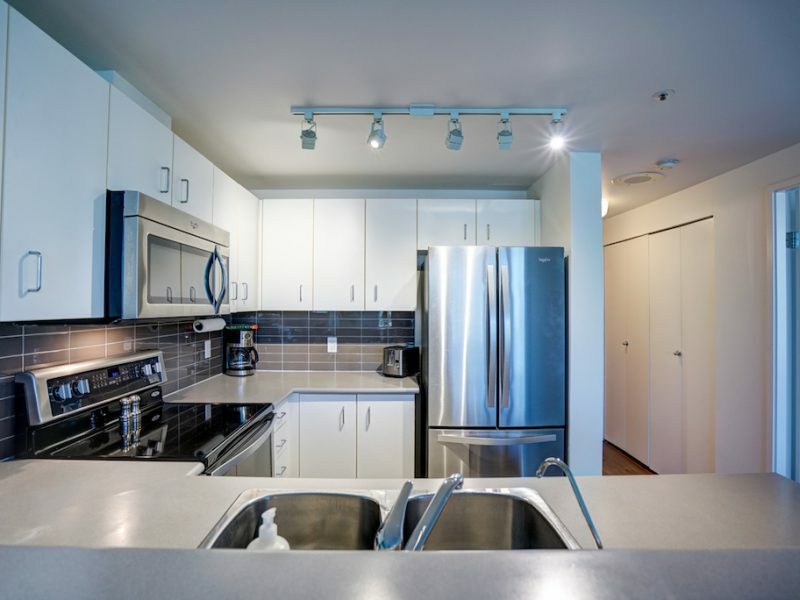 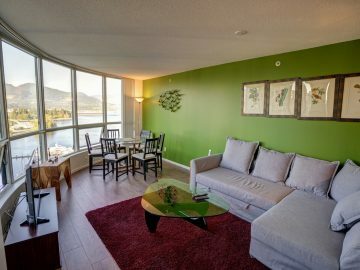 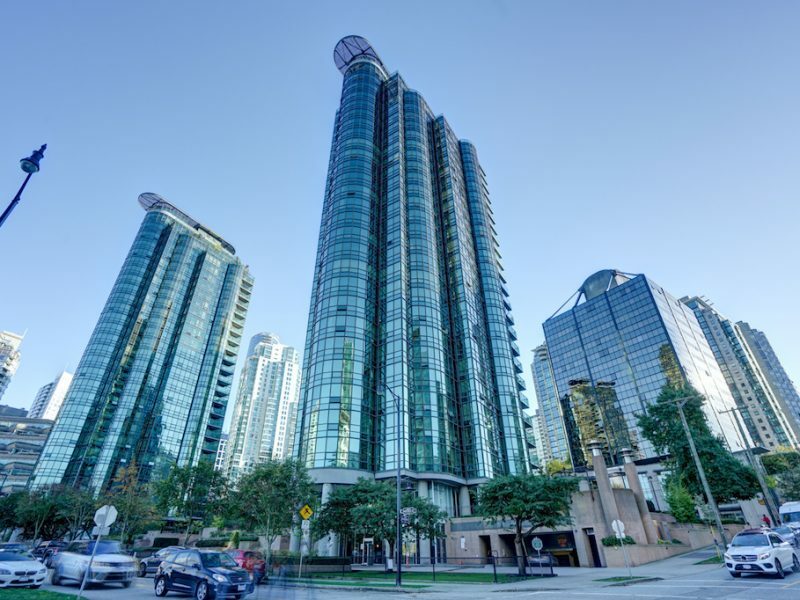 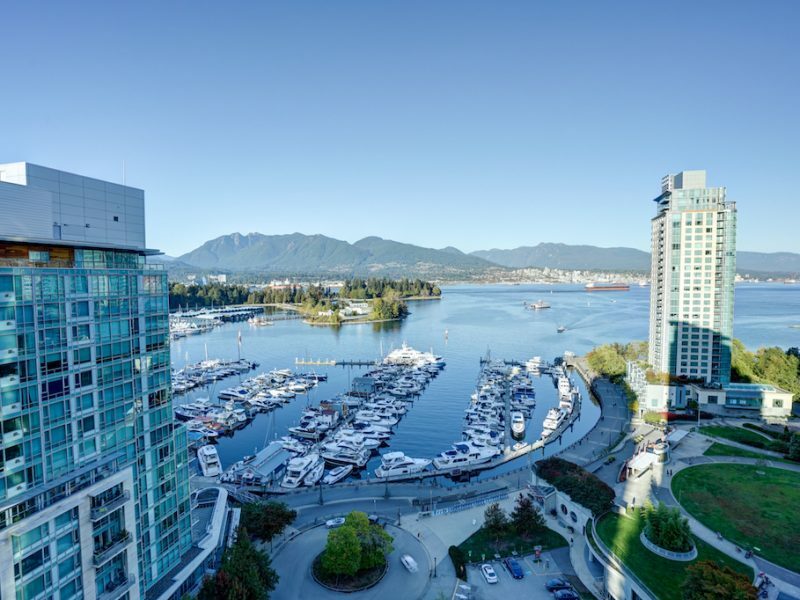 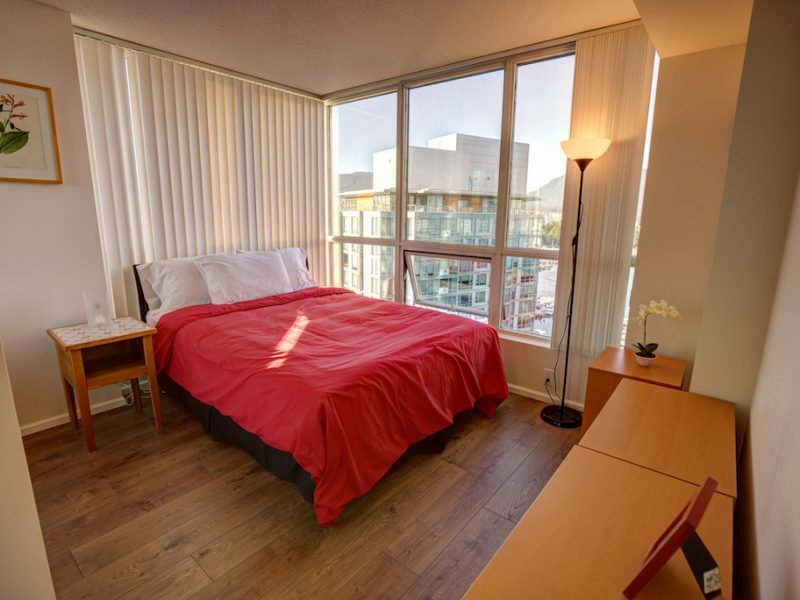 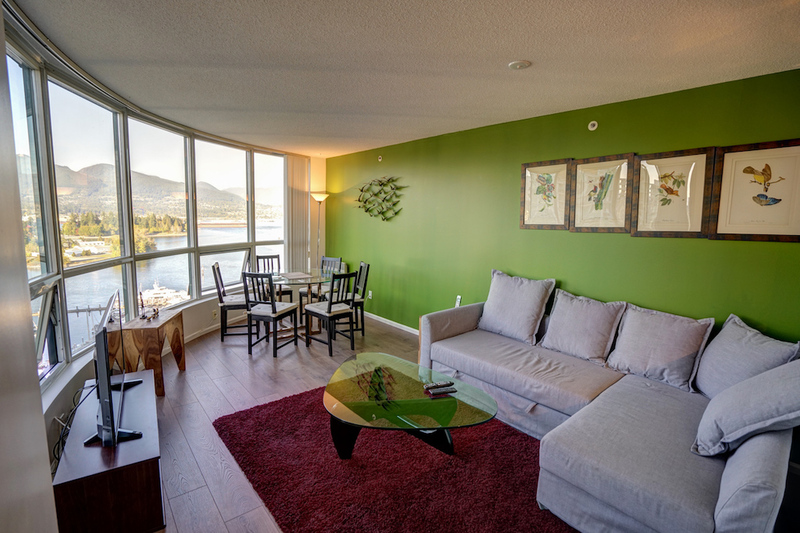 • Suite has approximately 1,000 sq/ft, and is located in a building in the upscale Coal Harbour area, with spectacular unobstructed views of Coal Harbour, the Burrard Inlet, and the North Shore mountains. 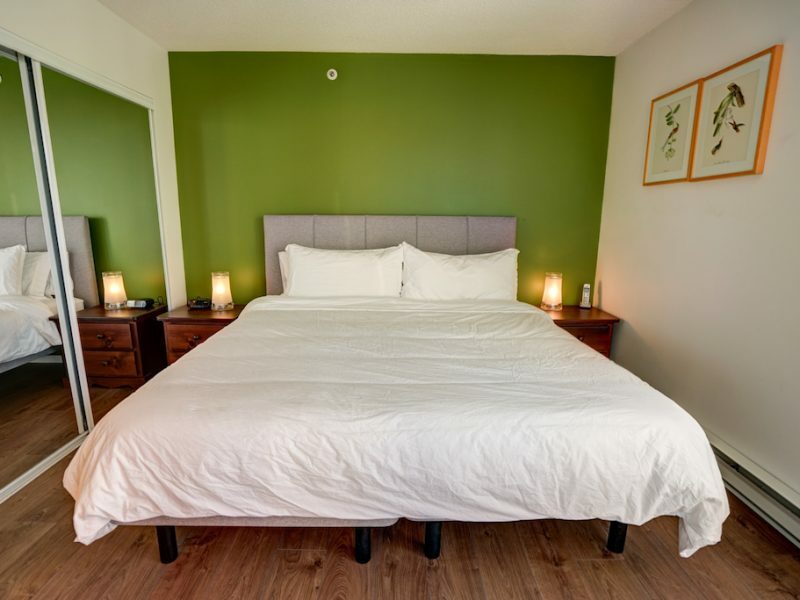 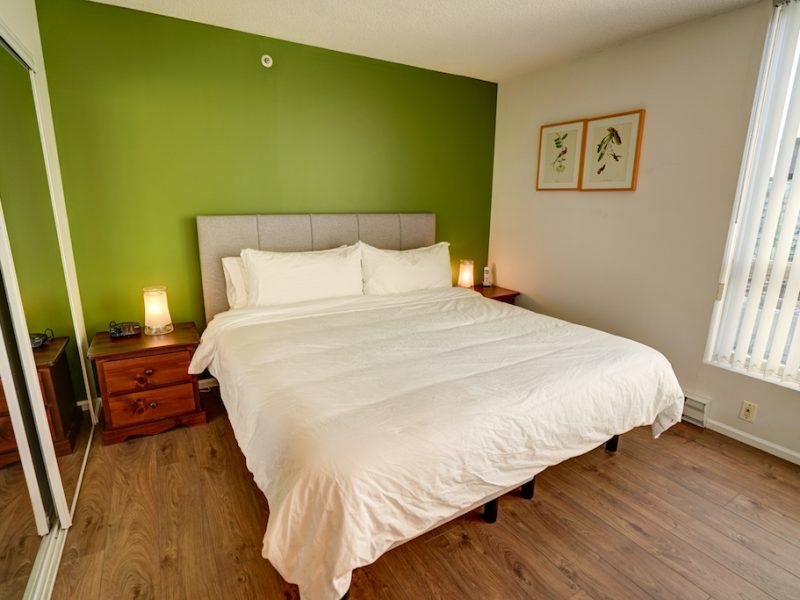 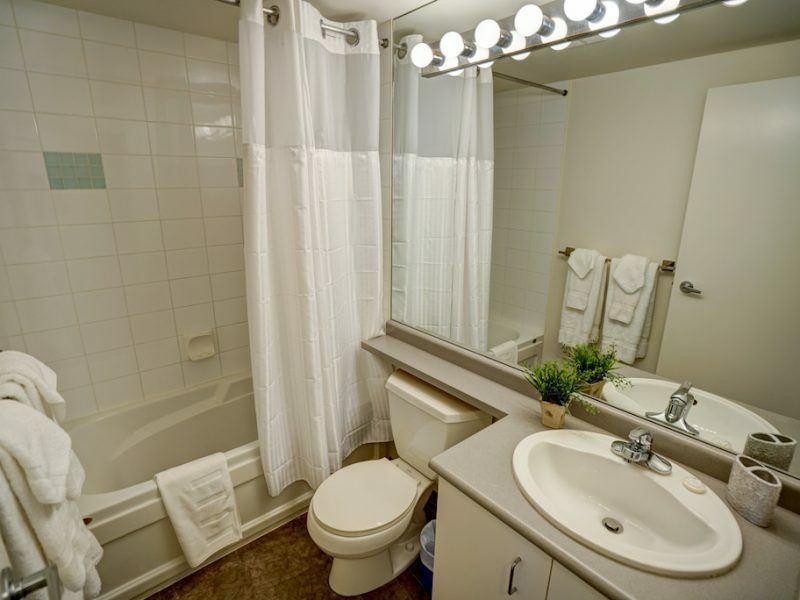 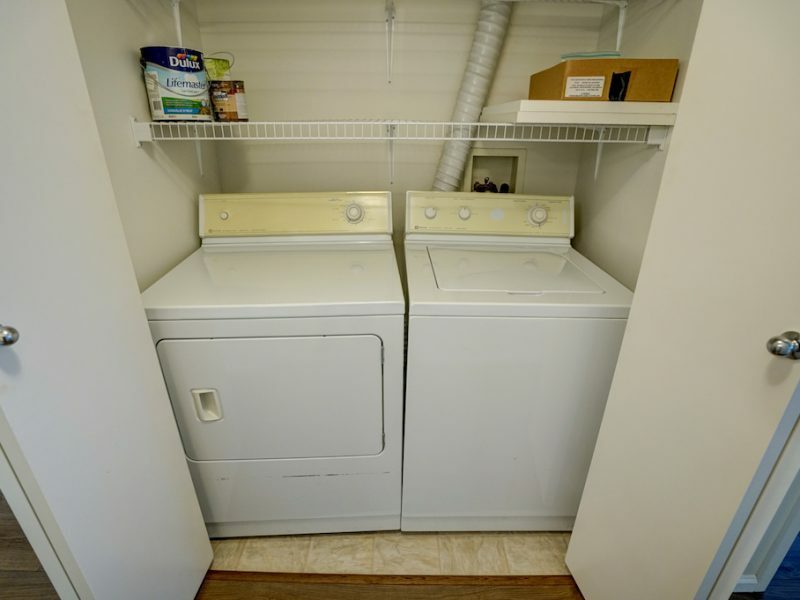 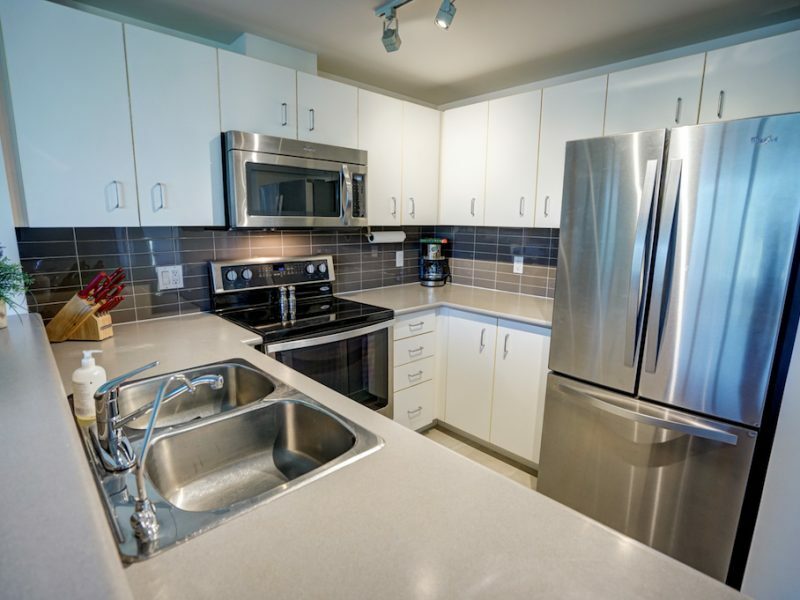 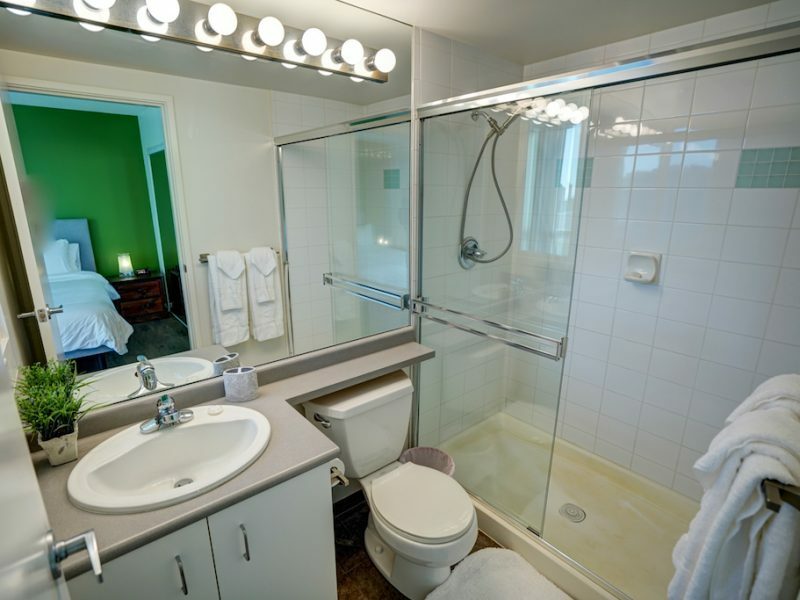 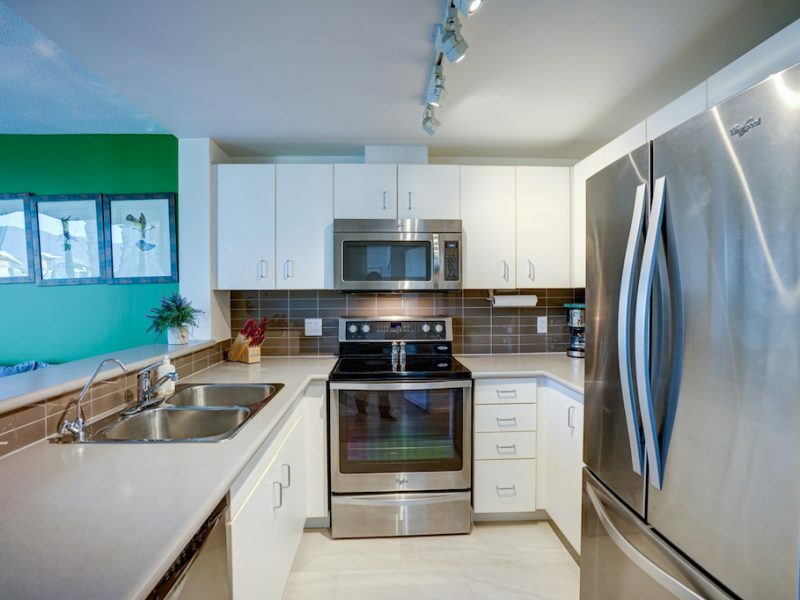 • Suite is equipped with a fridge, stove, microwave, dishwasher, garburator, and washer / dryer. 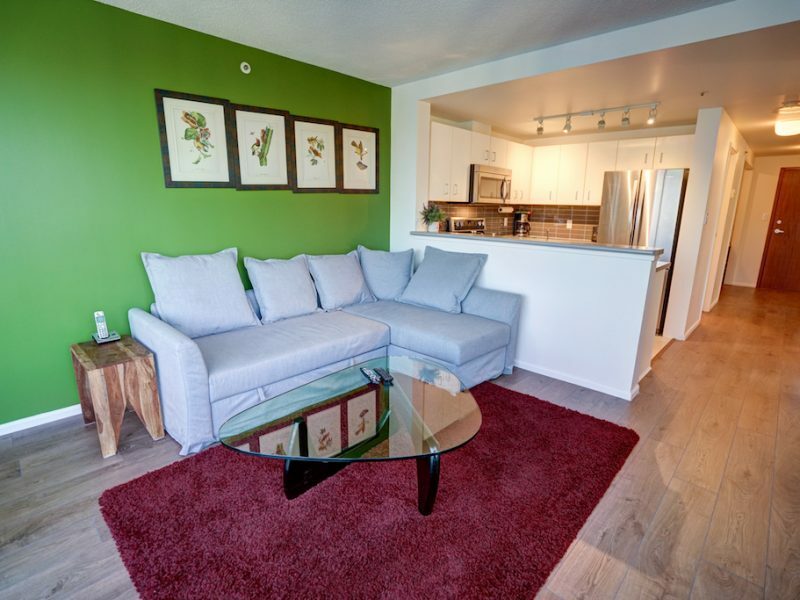 • All furniture is New and purchased in 2014; living room has New 47″ LED TV. 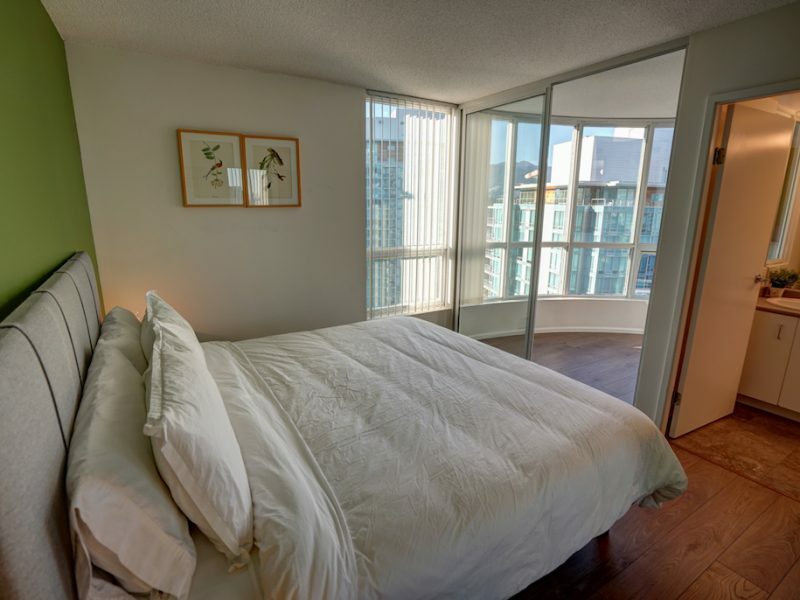 • King size bed in the master bedroom, and Double size bed in the secondary bedroom. 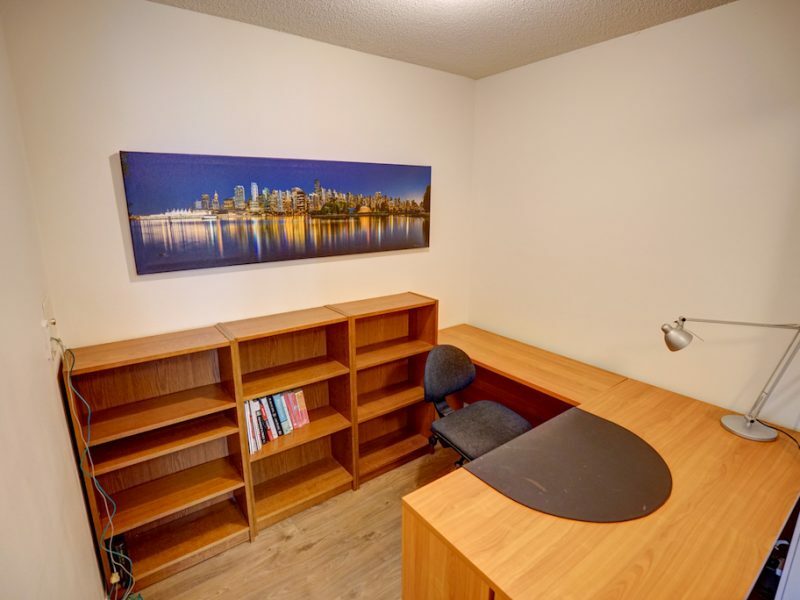 • Den is set up as an office.